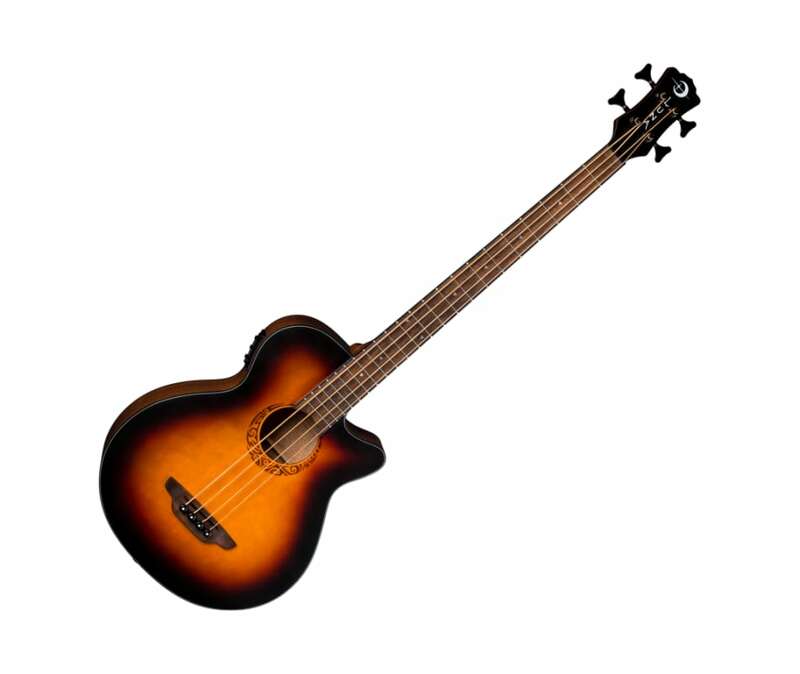 Lunas long scale Tribal Tobacco Sunburst acoustic bass guitar offers sharp aesthetics and convenient playability features, making a bold statement on and off the stage. The distinct tribal design around the sound hole shines above the smooth Tobacco Sunburst satin finish. Built on a 34 scale length, the Tribal Bass is constructed using a mahogany back, sides, neck and a spruce top. Easily amplify your sound and dial it in quickly with the onboard Luna preamp system with onboard tuner. Whether youre looking to add some deep bass tone to your jazz or folk grooves, or looking for a solid acoustic bass to noodle around on, the Tribal Tobacco Sunburst Acoustic / Electric guitar is the perfect fit! Join the Luna Tribe!